1. 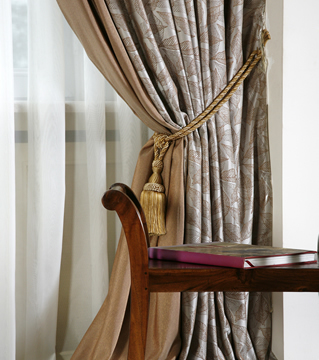 Quality- our drapery panels are formulated with certain sized hems, quality lining and weights to make them hang beautifully. 2. Making the right choice is easy- we let you take them home on approval so that you can see what they actually look like in your room before you buy. 3. Selection- no other place has this many quality ready made choices in 108” long length coupled with the flexibility to customize. 4. Timing- we can respond quickly because we have excellent resources in place, typical turnaround on custom starts at 2-3 weeks. 5. Budget- we make every effort to maximize your dollars and show you the multitude of ways you can put drapes on your window. The mother/daughter team at Christy's work hard to find the perfect look for your room. The Selection and our prices will bring you in, the quality and service will bring you back!